"Giving" is a wonderful part and privilege of our life in Christ. God, by His very nature, is generous, and as partakers of His divine nature we have a natural desire to give generously. But does this biblical concept called "tithing" fit into all of this? 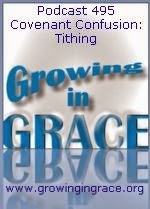 What did tithing mean in biblical times? Is it for us today? This week, and for the next two weeks after this, we'll look into the various mentions of tithing in the scriptures to see if this is really something the church is called to do. Specifically this week, we take a look into the most common passage used by the church when they teach tithing in our modern times: Malachi 3. A quick hint at what we'll be talking about: Malachi 3 was not a teaching on tithing instructions, and it also had nothing to do with giving money. Rather, it had everything to do with how a specific group of people was being neglected when it came to having food provided for them!